What Makes The Difference Between Professionals and Amateurs? This article is an excerpt from Atomic Habits, my New York Times bestselling book. I've started to notice (partially because of my own failures), that there is one skill that is so valuable that it will make you a standout in any area of life, no matter what kind of competition you face. What is this skill and how can you develop it? Let's talk about that now. Last summer, I was speaking with Todd Henry. Todd is a successful author and does a great job of putting out valuable work on a consistent basis. It doesn't matter what you are trying to become better at, if you only do the work when you’re motivated, then you’ll never be consistent enough to become a professional. The ability to show up everyday, stick to the schedule, and do the work — especially when you don't feel like it — is so valuable that it is literally all you need to become better 99% of the time. When I don't miss workouts, I get in the best shape of my life. When I write every week, I become a better writer. When I travel and take my camera out every day, I take better photos. It's simple and powerful. But why is it so difficult? Approaching your goals — whatever they are — with the attitude of a professional isn't easy. In fact, being a pro is painful. The simple fact of the matter is that most of the time we are inconsistent. We all have goals that we would like to achieve and dreams that we would like to fulfill, but it doesn't matter what you are trying to become better at, if you only do the work when it’s convenient or exciting, then you’ll never be consistent enough to achieve remarkable results. I can guarantee that if you manage to start a habit and keep sticking to it, there will be days when you feel like quitting. When you start a business, there will be days when you don’t feel like showing up. When you're at the gym, there will be sets that you don’t feel like finishing. When it's time to write, there will be days that you don’t feel like typing. But stepping up when it's annoying or painful or draining to do so, that’s what makes the difference between a professional and an amateur. Professionals stick to the schedule, amateurs let life get in the way. Professionals know what is important to them and work towards it with purpose, amateurs get pulled off course by the urgencies of life. Some people might think I'm promoting the benefits of being a workaholic. “Professionals work harder than everyone else and that's why they're great.” Actually, that's not it at all. Being a pro is about having the discipline to commit to what is important to you instead of merely saying something is important to you. It's about starting when you feel like stopping, not because you want to work more, but because your goal is important enough to you that you don't simply work on it when it's convenient. Becoming a pro is about making your priorities a reality. There have been a lot of sets that I haven't felt like finishing, but I’ve never regretted doing the workout. There have been a lot of articles I haven't felt like writing, but I’ve never regretted publishing on schedule. There have been a lot of days I've felt like relaxing, but I’ve never regretted showing up and working on something that is important to me. Becoming a pro doesn't mean you're a workaholic. It means that you’re good at making time for what matters to you — especially when you don't feel like it — instead of playing the role of the victim and letting life happen to you. Going about your work like a pro isn't easy, but it's also not as complicated or difficult as you might think. There are three steps. 1. Decide what you want to be good at. Purpose is everything. If you know what you want, then getting it is much easier. This sounds simple, but in my experience even people who are smart, creative, and talented rarely know exactly what they are working for and why. 2. Set a schedule for your actions. Once you know what you want, set a schedule for actually doing it. Note: Don't make the same mistake I have made, which is setting a schedule based on results. Don't map out how much weight you want to lose each week or how much money you want to make. “Lose 5 pounds” is not an action you can perform. “Do three sets of squats” is an action you can perform. You want to set a schedule based on actions you can do, not results that you want. 3. Stick to your schedule for one week. Stop thinking about how hard it will be to follow a schedule for a month or a year. Just follow it for this week. For the next 7 days, don't let distractions get in the way. Setting a schedule doesn't make you a professional, following it does. Don’t be a writer, be writing. Don’t be a lifter, be lifting. For one week, do the things you want to do without letting life get in the way. Next week, start again. Here are two examples of how I’m trying to go about my day as a professional right now. Feel free to try either of these strategies if you're looking to become better at working like a pro. Pushups — I’m currently working towards doing 100 strict pushups in a row. When I started in August, I could only do 36 in a row. Writing — As I mentioned at the beginning of this post, I have struggled with keeping a consistent writing schedule in the past. But now I've got one that is working and I plan on sticking to it. The schedule is simple: publish one new article every Monday and Thursday on this site. I have followed that schedule for 8 weeks now. It's just a start, but I'm working on becoming a pro. Everyone's journey is their own, but you don't have to face the pain of becoming a pro all by yourself. This website is the home to a small community of committed people who are looking to become stronger and healthier, more creative and more skilled, and better friends and family members. We're all looking to improve and I'd love to help you however I can. What areas of life do you want to be a professional in? What's important to you? This article is an excerpt from Chapter 19 of my New York Times bestselling book Atomic Habits. Read more here. Thanks for reading. You helped save a life. Whenever you buy one of my books, join the Habits Academy, or otherwise contribute to my work, 5 percent of the profits are donated to the Against Malaria Foundation (AMF). In fact, thanks to our advertising partners, even a simple act like reading another article helps us contribute more. 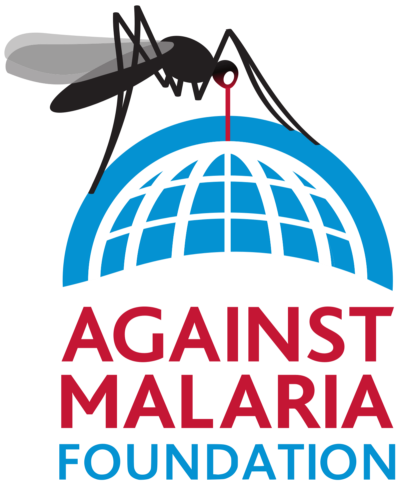 With each donation, AMF distributes nets to protect children, pregnant mothers, and families from mosquitos carrying malaria. It is one of the most cost-effective ways to extend life and fulfills my bigger mission to spread healthy habits and help others realize their full potential.